Avoid the hassle of realtors, repairs, and months of uncertainty. Put More Cash In Your Pocket. You’ll Get A Fair “AS IS” Cash Offer.You Choose The Closing Date. Get A Fair “AS IS” All Cash Offer. Anthony has cash and because of that we are Dekalb County‘s premier local home buying and real estate solutions company. If you are looking to sell your house fast in Dekalb County contact us today so we can make you a fair all-cash offer on your house. When searching the Atlanta real estate market for a “We Buy Houses Dekalb County” company or companies that buy houses, there is no better choice then GWG Enterprises and AnthonyHasCash.com. As real estate professionals and investors, we’ve bought hundreds of homes through out the greater Atlanta area and have an outstanding customer satisfaction history. We Buy Houses Dekalb County And Can Close Fast! Selling Your House Fast In Dekalb County Can Be A Quick And Simple Process – We’re not listing your house… we’re actually the ones buying your house. Because we pay cash, we’re able to close quickly… or on your schedule. When you work with us there are no fees like there are when you list your house with an agent. That means you don’t have to worry about extra costs, having to come out of pocket to sell, or even getting your house ready for a sale (we’ll buy your house as-is). You won’t have to wait for a buyer either while your house sits on the market for 4-6 months or longer. We Buy Dekalb County Houses Fast In ANY Price Range And ANY Condition! We buy houses in Dekalb County from sellers just like you who are in a variety of situations. We are Local Cash Buyers in Dekalb County GA and purchase properties in “As-Is” Condition. We are able to close very quickly (usually within 21 days!) or on the date of your choice. Whether you are behind on your tax payments, facing foreclosure, divorced, stuck with bad tenants, inherited a property that you don’t want or have a property that needs repairs, we would be happy to work with you. Our simple 3-step process is the quickest way for homeowners to gain certainty that their home will sell while avoiding the hassle of realtors, repairs, and months of uncertainty. 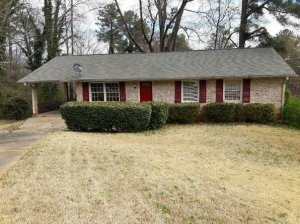 If you need to sell your Dekalb County house fast, this is the place to start. We are here to help and ensure the process is simple and straightforward. After determining the best way we can help you we’ll proceed to the next step by scheduling an appointment. Our Home Buying Specialist will meet you at your house to do a walk through and check on any needed repairs. Don’t worry, you won’t have to complete the repairs yourself. We’ll handle all of that for you. Once the walkthrough is complete, we’ll present an “AS IS” all cash no obligation offer. Stop wasting time and money trying to sell your Dekalb County home the traditional way. Fill out the form below or call us right now at 404-500-6255 to get a fair “AS IS” cash offer on your home. We help property owners just like you, in all kinds of situations. From divorce, foreclosure, death of a family member, burdensome rental property, and all kinds of other situations. If you need to sell your house fast in Dekalb County or anywhere in the Greater Atlanta area you’re in the right place. We buy houses in Atlanta fast for cash.